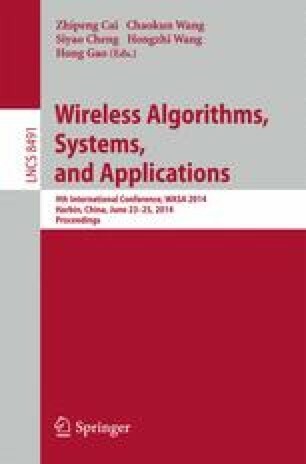 Real-time applications in wireless sensor networks require bounded service latency. There exist many algorithms and routing protocols for efficient data packet delivery. However, previous works set the uniform restriction of retransmissions for the sensor nodes along a deliver path. The method of uniform retransmission threshold is short of taking the link quality and delay requirement into account, which decreases the probability that a packet passes the deliver path within its deadline. This paper first investigates into the problem of computing the optimal retransmission thresholds for relay nodes along a deliver path, such that the summation of the probability that the packet is successfully delivered to the next relay node (or destination node) within its specified deadline is maximized. A distributed greedy algorithm for computing optimal retransmission threshold is provided and the correctness of this algorithm is proved. Experimental results show that the proposed algorithm has better performance in terms of deadline success ratio and real-time ratio.